If you think your loved one was abused or neglected in a Lawrenceville nursing home you are not alone. We understand the need for information about nursing home abuse and neglect. That’s why we provide plenty of videos, blogs and podcasts on our website. We want to help you learn what to do if your loved one is a victim of nursing home abuse or neglect. Once you view our website you may want to call us and we will be happy to answer any questions you may have. The terms nursing home abuse and neglect are often used to describe injuries in a nursing home. It is helpful to understand the difference between the two. Abuse is an intentional act. For example, if a caregiver becomes angry and hits a resident, that is abuse. Neglect is an unintentional act such as failing to give a patient their medication on time. Both abuse and neglect can result in serious injuries or death. You do not need to accept this type of treatment of your loved one. The nursing home injured my loved one – When should I file a lawsuit? It is unfortunate that your loved one was hurt in their nursing home. If you suspect that your loved one was abused or neglected do not wait to get help. If your loved one has suffered an injury you may want to file a lawsuit as soon as possible. The law limits the time to file a claim and even more importantly, your claim can be more effectively resolved when it is filed quickly. Waiting too long to file a claim can make it more difficult to resolve. It can be harder to gather medical records and to find the proof necessary to show that the abuse or neglect occurred at the nursing home. Therefore, it is usually a good idea to contact an attorney as soon after you discover the injury as possible. Some people wonder whether a nursing home neglect lawsuit will be expensive and are concerned about whether they can afford to file a lawsuit. In most cases, the law firm will be able to provide legal services on a contingency basis. This means that you can pay for the attorney’s fees from the proceeds of the lawsuit once it is resolved. The attorney will have a set percentage or fee that will be deducted from the money you receive so you won’t need to worry about coming up with up-front payments. There are other expenses that are associated with lawsuits. For example, there are costs involved with ordering medical records and in obtaining expert witnesses for testimony. The attorney may, in some cases, pay for these fees as well and will add them into the amount that is owed at the time that the lawsuit is resolved. We are Schenk Smith, your Lawrenceville nursing home lawyers. You may notice that our website offers information only about nursing home abuse and neglect. That’s because we focus only on nursing home cases. We don’t handle any other types of legal matters and devote our time strictly to taking legal action to help families of victims of nursing home abuse and neglect. Our attorneys are dedicated and knowledgeable about nursing home laws and are able to effectively resolve these types of cases. Over the last two years we have obtained millions of dollars in verdicts and settlements for our clients. Once you have had a chance to look over the information on our website and view our podcasts you may want to give us a call to schedule a consultation. We are happy to help. We will come to your location wherever you may be located near the Gwinnett History Museum, Vines Botanical Gardens or Collins Hill Aquatic Center. Nursing Home Abuse & Neglect in Lawrenceville, Georgia- What you need to know. Lawrenceville, Georgia is located in Gwinnett County and has a population of 30,127 residents. Of those, 12.10% are aged 65 and older. Nursing home abuse and neglect can happen anywhere, even in Lawrenceville. How do I spot the common signs of nursing home neglect? Poor Hygiene: Your loved one may require assistance with daily tasks such as brushing teeth or hair, washing up or going to the bathroom. If you notice that your loved one has an unkempt appearance or has soiled bedding or clothing, those could be signs of neglect. Unexplained Bruises: Falls are a common occurrence when adequate help is not provided in a nursing home. Falls can cause injuries that range from bruises to scrapes and more serious injuries such as fractures and head trauma. If you notice bruises on your loved one they could be a sign that something occurred. Poor Nutrition: Sudden weight loss or lack of appetite could be a sign that your loved one is not eating properly. Poor nutrition can lead to a host of medical issues, particularly in the elderly. Nursing homes should provide proper supervision to ensure that residents eat adequate to meet their daily nutritional requirements. Injuries from Falls: Injuries from falls can be quite serious in elderly people. Senior citizens may have bones that are less dense and therefore even a minor fall could become a severe health problem. If your loved one falls in a nursing home it may be because of improper supervision or because they didn’t have the help they needed to get to the bathroom or elsewhere. Bedsores: Bedsores happen when the skin continually rubs against something, often the person’s bedding or clothing. They occur most often in people who are immobile or bedridden. They require help from a caregiver to be repositioned every few hours. The failure to do so could result in bedsores that can worsen and lead to infection and even death. Infections: Infections can be difficult for the elderly to overcome. Some infections are worsened due to lack of immediate care. If a caregiver fails to notice that a resident is sick an infection can worsen and it may be very hard to treat. When caught early, many infections can be successfully resolved. Caregivers must recognize the signs of an infection and seek medical treatment for a resident if these signs are noticed. Why does nursing home neglect happen to begin with? Overworked employees: Caregivers in nursing homes may be stretched to their limits. A nursing home may expect too much from their employees and as a result, workers need to cut corners to get their jobs done. Unfortunately, cutting corners in a nursing home can mean that your loved one is neglected and may suffer an injury. Inadequate staffing: Many nursing homes have limited funds and they try to reduce their staff whenever possible. Also, high quality caregivers are hard to find, especially if the pay is low. Inadequate staffing leads to problems such as neglect in a nursing home. Too few employees means that your loved one may only get a few minutes of assistance a day from a caregiver. Poor training: There is a high turnover rate in nursing home staff and this can lead to poor training of employees. Additionally, management may be lacking the leadership necessary to ensure that training is provided to workers. Whatever the reason, poor training means that caregivers may not be equipped to provide adequate care and they may not know how to look for signs of medical problems in residents. My loved one was hurt in a Lawrenceville nursing home- What do I do next? If your loved one was severely injured or passed away at a Lawrenceville, Georgia nursing home, then we recommend that you act as soon as possible to protect your loved one’s rights. Another available option is to file a complaint with the Georgia Office of the State Long-Term Care Ombudsman. The ombudsman program operates across the state and advocates on behalf of those who file complaints regarding Georgia nursing homes. They work to resolve problems between residents and nursing homes and are legally allowed to go into nursing homes to ask questions. If your loved one suffered a physical assault, criminal abuse or any unlawful actions at a nursing home you may want to file a police report. The circumstances will determine whether charges will be brought by the District Attorney’s Office: Gwinnett Judicial District. For abuse occurring in a Lawrenceville, Georgia nursing home, report the crime to the City of Lawrenceville Police Department or to the Gwinnett County Sheriff’s Department. You may want to consider finding another nursing home for your loved one. This might be especially important if your loved one was seriously hurt or you are not comfortable with the care that is being provided. It can be difficult to choose a nursing home, especially when you are unsure about what to look for. One of the best things you can do is visit the facility and do a walkthrough. This will give you an overall perception of the nursing home. A visit alone may not be enough to give you the full picture. The United States Centers for Medicare and Medicaid Services (CMS) has a website that provides a tool that provides helpful details about nursing homes in Georgia and across the country. They compile data and provide ratings on overall care, ratio of nurse to resident, inspection details and more. For your convenience, a list of all nursing homes located within Lawrenceville, Georgia is located below, along with their contact information and inspection scores. Nursing home neglect or abuse cases require that you show that your loved one was injured in the facility. In order to provide proof you will need to gather the medical records of your loved one. This includes records from the regular physician as well as from any other medical facilities where your loved one received care. In addition, you will also need to obtain records from the nursing home. These records are essential because they will show details of when and how the injury occurred. All too often a nursing home disputes a claim of abuse or neglect and states that the injury occurred elsewhere or at a previous time. You will need the medical records that detail how your loved one was hurt and to show that the injury was not a preexisting condition. Medical records are protected by privacy laws. Therefore, you are not able to obtain them without special authorization, even if you are a spouse or other relative. Anyone is able to file a lawsuit if they feel they were the victim of abuse or neglect. That right does not end when you pass away. Instead, a lawsuit can be filed on behalf of the deceased’s estate. However, in order to file a lawsuit or take any other action on behalf of a deceased loved one you must have legal authority. Just because you are a spouse or child does not mean that you automatically can act on their behalf. An estate must be set up and an administrator appointed. A surviving spouse or other loved one may be allowed to file a petition in the Probate Court in the county where the loved one passed away. It is important to have an estate set up as soon as possible so that important decisions can be made including whether to file a lawsuit. The estate has an appointed administrator or executor who is legally allowed to act on behalf of the estate. Nursing homes are not all alike. If you are searching for a nursing home we have provided you with the choices in Lawrenceville. This information was gathered from the CMS Nursing Home Compare Website. 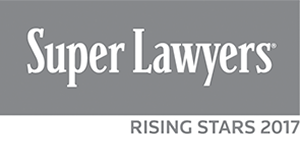 There are many law firms across the country and in Georgia. When you are ready to take legal action or simply want to learn more about your options, we are here for you. 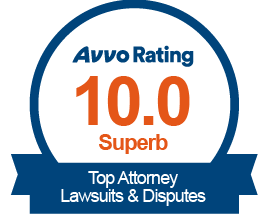 There are a few things that we think set us apart as a good option to represent you in your lawsuit. Dedication: Our law firm is dedicated to nursing home cases and nothing else. This focus makes us uniquely qualified to provide you and your family with the efficient representation that you expect. As a client, you will work directly with your attorney and will even have access to the attorney’s cell phone. Knowledge: We provide information to help you learn about nursing home abuse and neglect. One of our founding attorneys, Will Smith, was a CNA at Georgia nursing homes for a decade so we understand how nursing homes work. We love sharing our knowledge and provide videos, blogs and podcasts to educate you on the important issues that you may be facing. Results: We have successfully obtained millions of dollars for our clients in verdicts and settlements in just the last two years. Our clients often say that they feel like family because we provide compassionate and caring legal support during this difficult time. If your loved one was injured or died in a Lawrenceville, Georgia nursing home, please call us at Schenk Smith (678) 823-7678 for a free consultation. You can also check out hundreds of video FAQs on our website.